Asaduddin Owaisi on Twitter said he will meet KCR today, adding this was the "first step towards a larger goal of nation building." 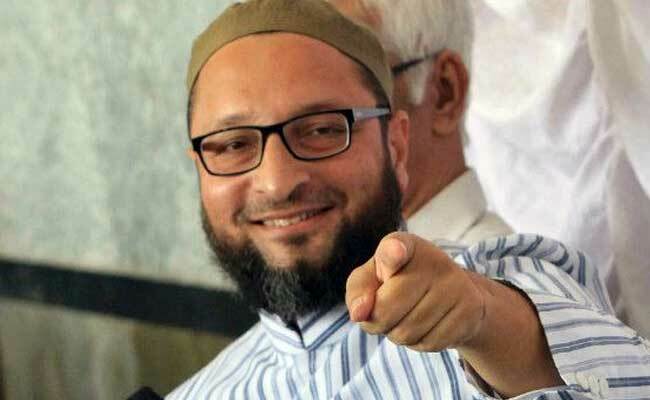 Asaduddin Owaisi has previously organised public meetings in support of TRS for the Telangana elections. Mr Owaisi on Twitter said he will meet KCR today, adding this was the "first step towards a larger goal of nation building." The All India Majlis-e-Ittehadul Muslimeen, or AIMIM, contested eight seats in the December 7 assembly elections as against the seven in 2014 polls, and supported the TRS. Mr Owaisi had also canvassed and organised public meetings in support of TRS in the run-up to the December 7 Assembly elections. Counting of votes will be done tomorrow.